Here’s a guide on how to boot Windows 10 in safe mode guide. Learn how you can reboot your Windows 10 PC desktop/laptop into Safe Mode. 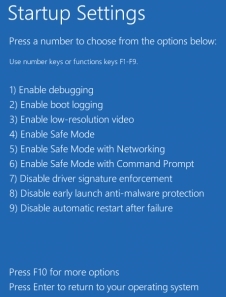 In this guide we are going to explain five best ways to boot in Safe Mode on Windows 10 PC, you can also use instructions in this guide to boot Windows 8 / 8.1 PC in Safe Mode as well. The Windows Safe Mode is basically there to help users to run diagnosis on your Windows 10 PC in order to find fixes and solutions to issues on Windows OS. Every time you want to diagnose Windows 10, you may be asked or need to boot the PC into Safe Mode. There are five easy ways you can boot Windows in Safe mode. Those who don’t know much about Windows Safe Mode and what it does may want to read the next passage. If your Windows PC is experiencing system errors, best way to fix it is to reboot PC in Safe Mode. Windows PC Safe Mode boot your desktop / laptop with fundamental hardware & software combination and essential settings. Windows Blue Screen of Death (BSOD) and similar other errors are common, and to fix them requires booting Windows PC in Safe Mode. Thankfully, there are multiple ways to boot the Windows operating system in Safe Mode that may come useful in different situations. You can use the instructions mention below to boot Windows 10, Windows 8 & Windows 8.1 OS in Safe Mode. This is the easiest way of booting your Windows OS into Safe Mode. In this method use shift key on keyboard to evoke the Windows 10 restart function. Press and hole the SHIFT key and click the restart from Start menu. You can perform this trick from both the desktop or lock screen. 1 – Go to Start > Power, press and hold Shift key and click on Restart. 2 – A new screen with a slew of options will show on the display. Here, you will be prompted to Choose an option. 4 – Click on Startup settings, and then select Restart from the list. 5 – This will restart your PC with Startup Settings. Press 4 or F4 key on keyboard to enter Safe Mode. This method comes to your rescue when your Windows 10 PC is inflicted by a severe error such as Blue Screen of Death (BSOD) error. When your Windows is attacked by BSOD error, you can’t access the system to enable the Safe Mode. In such cases, you need to boot Windows 10/8/8.1 PC in Safe Mode using a bootable media such as USB flash drive or DVD. For this method to work, you must have a bootable USB flash drive or disc ready to boot in safe mode on Windows 10 PC. 1 – Connect your bootable USB flash drive to PC or insert the disc. 2 – Restart PC, press any key when prompted to restart the system. 3 – Click on Next button on a Windows Setup dialogue box. 4 – Click the Repair your computer option. 5 – Select Troubleshoot and then Advanced Options. 6 – Click Startup Settings. 8 – All done. You will be taken to the Advanced Boot Menu from where you can restore the system back to normal state. 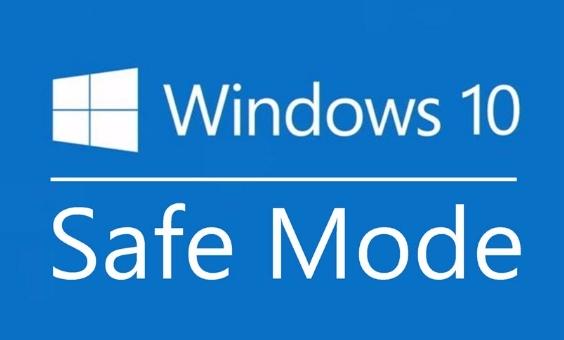 Make sure to select Safe Mode and hit enter to boot into Safe Mode in Windows 10. This method is perhaps the best way to boot your Windows 10 in Safe Mode. Use the System Configuration feature to enter the Safe Mode in Windows 10. 1 – Press Windows + R keys to open Run dialogue box. 2 – Type msconfig in the Run box field and press enter. 3 – A new System Configuration box will open. 4 – Click on the Boot tab. 5 – Under Boot options in the Boot tab, enable the Safe Boot option and hit the Apple and then click OK button. 6 – In the next dialogue box, you will be prompted to restart your PC. Here, click on Restart to reboot PC in Safe Mode. When the problem is fixed and the PC is back on, make sure to disable the safe boot from the system configuration boot tab to re-enable normal PC restart function. 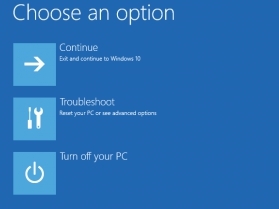 Advanced boot menu in Windows 10, 8, 8.1 also has an option that allows you to reboot PC in safe mode. 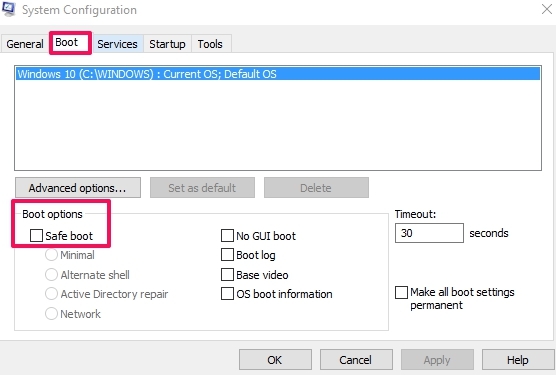 In previous Windows version such as Windows 7, the advanced boot menu was enabled by default, however, in Windows 10, 8 & 8.1, you have to manually enable the Advanced Boot menu from the command prompt. It not that hard, see our guide to enable legacy advanced boot menu in Windows 10, 8 and 8.1 to boot your PC into Safe Mode. 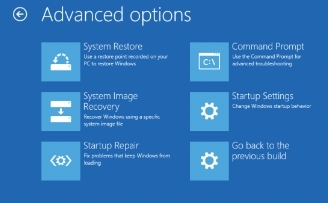 6 – After the restart, you will see three options as Recovery Mode: Continue, Troubleshoot and Turn Off your PC. Click on the Troubleshoot option to proceed. 7 – In the troubleshoot, click on the Advanced Options. 8 – In the Advanced Options, click on the Startup Settings and then click Restart to reboot PC with Startup Settings. 9 – After the restart, press 4 or F4 key to start your PC in Safe Mode. Here you can also choose to restart PC in safe mode with command prompt and start PC in safe mode with Networking. That’s all. You now know several easy ways to boot Windows in Safe Mode for addressing various issues and fixing problems on Windows.